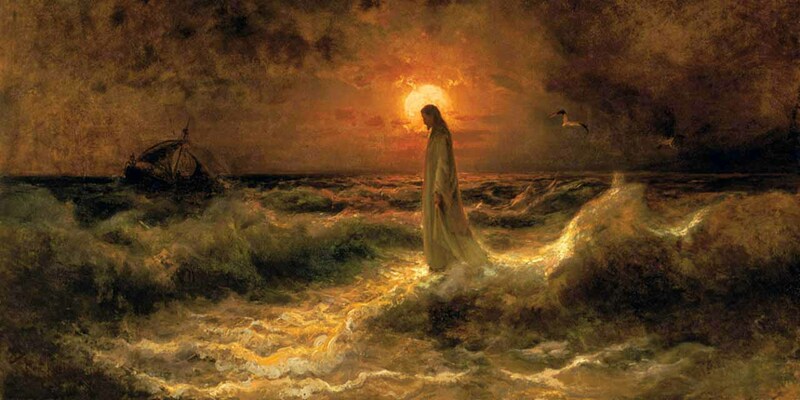 Our Lords journey into the unknown realm of death, for love of us, can and will never be unknown again. 33 At noon darkness came over the whole land until three in the afternoon. 37 Jesus gave a loud cry and breathed his last. 38 The veil of the sanctuary was torn in two from top to bottom. 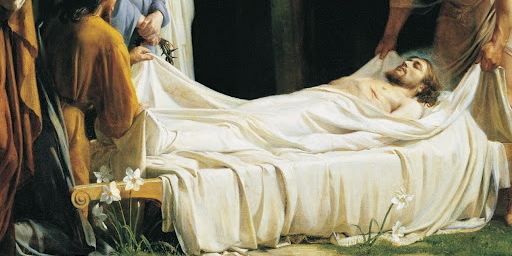 40 There were also women looking on from a distance.m Among them were Mary Magdalene, Mary the mother of the younger James and of Joses, and Salome. 41 These women had followed him when he was in Galilee and ministered to him. There were also many other women who had come up with him to Jerusalem. 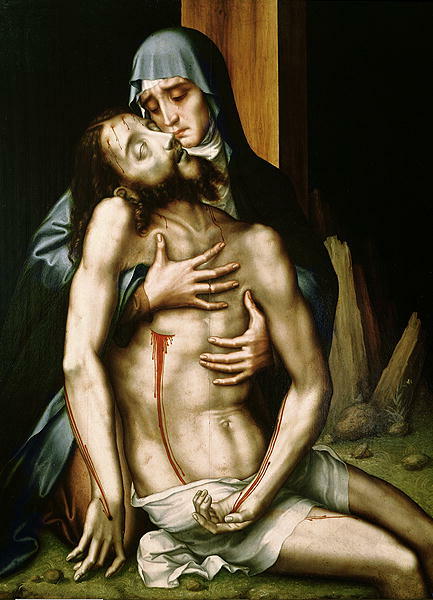 43 Joseph of Arimathea, a distinguished member of the council, who was himself awaiting the kingdom of God, came and courageously went to Pilate and asked for the body of Jesus. 44 Pilate was amazed that he was already dead. He summoned the centurion and asked him if Jesus had already died. 45 And when he learned of it from the centurion, he gave the body to Joseph. 46 Having bought a linen cloth, he took him down, wrapped him in the linen cloth and laid him in a tomb that had been hewn out of the rock. Then he rolled a stone against the entrance to the tomb. 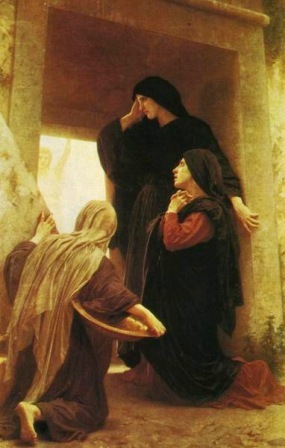 47 Mary Magdalene and Mary the mother of Joses watched where he was laid. Getting there is half the battle, battling against the evil inside is another and keeping the faith is a new battle. Until our Lord takes you home.